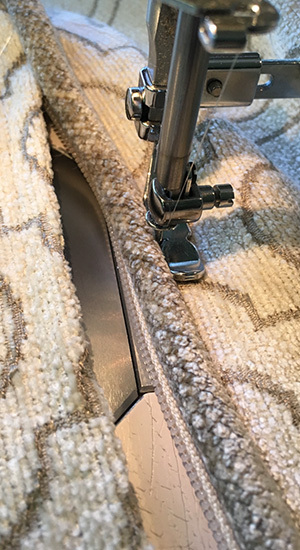 Currently our custom workroom is fabricating custom draperies, bedding (coverlets) and lots of beautiful pillows for Blackberry Farm in Walland, TN. 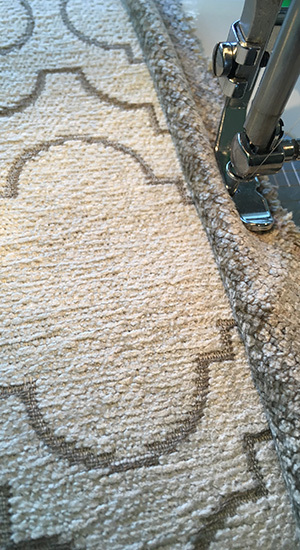 I really enjoy making pillows or seat cushions with zipper inserts- not just because there is no hand stitching involved for closing pillow forms, but I like the clean, finished look! Also down inserts give it a very luxurious feel and make “pillow fluffing” easy and fast without any feathers ever poking through! Besides that it’s nice to have the option to dry clean pillow covers especially when using them for bedding. 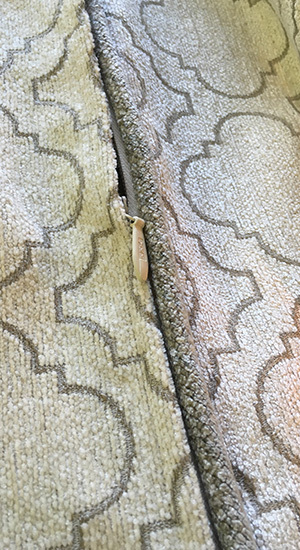 When done right, the zipper will not show when the pillow is completed – it actually will hide right between the cording and a small little flap which overlaps.